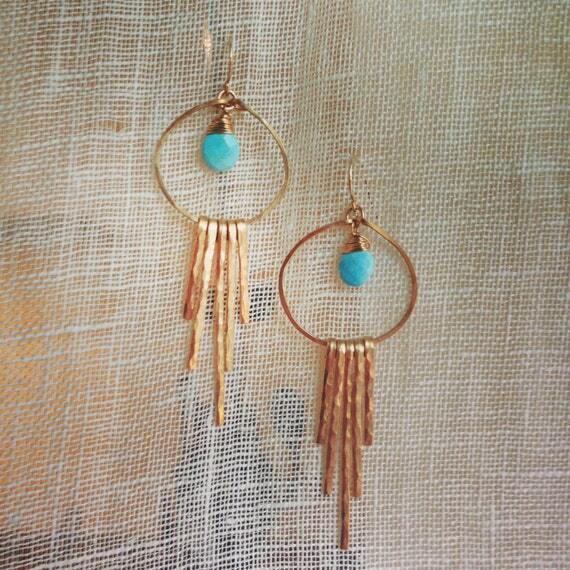 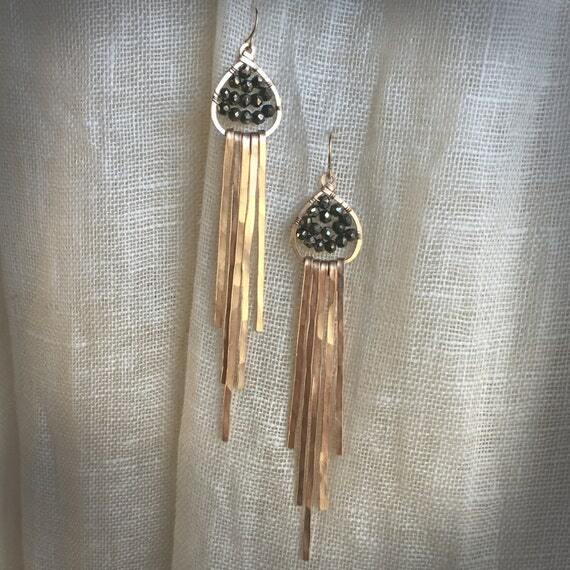 These earrings are very light-weight but dramatic. 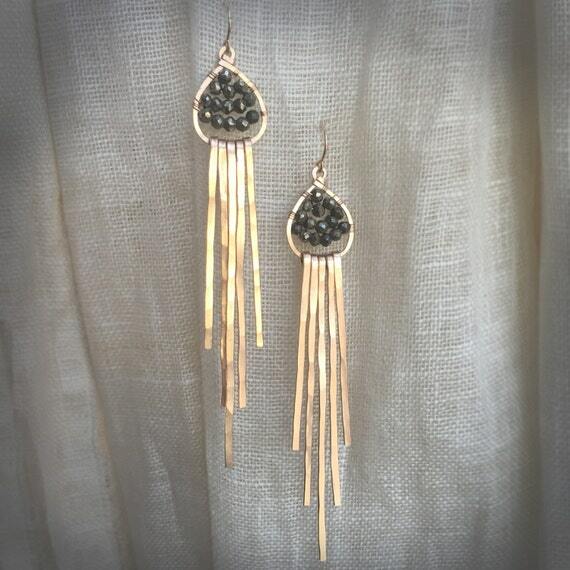 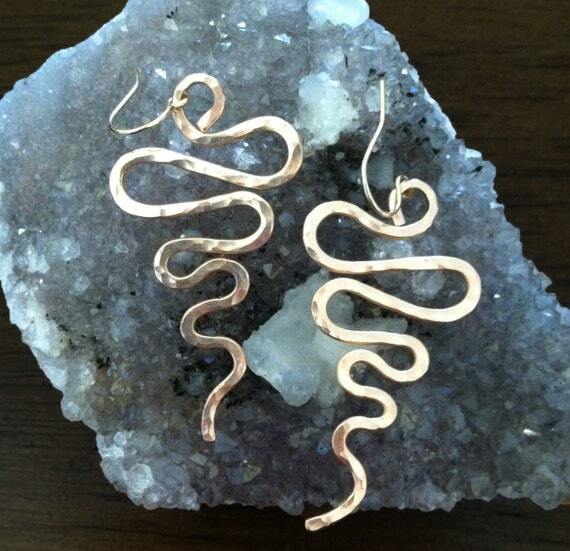 The hammered bronze bars mimic a desert sun's rays. 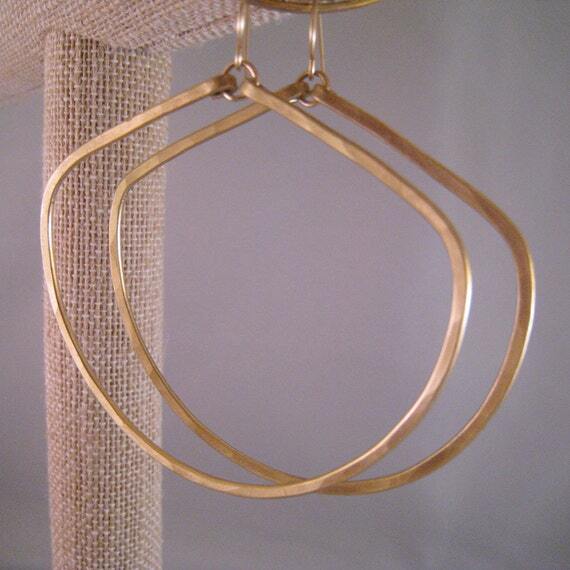 At the center of the hand-formed bronze hoop are several rows of small faceted sparkling pyrite.